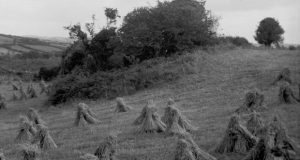 Story on Vintage Accounts of Irish Folklore Being Transcribed by Online Collective – Zero Equals Two! “A worldwide crowdsourcing movement is currently unearthing Ireland’s deepest fairy secrets and darkest myths. A voluntary collective online is working its way through transcribing 700,000 pages of folklore that were collected throughout Ireland between 1937 and 1939. This mass of previously inaccessible material was gathered by more than 100,000 children who were sent to seek out the oldest person in their community just before second World War to root out the darkest, oddest and weirdest traditional beliefs, secrets and customs, which were then logged into 1,128 volumes, titled the Schools’ Manuscripts Collection. Read the whole story here: https://www.irishtimes.com/life-and-style/people/ireland-s-darkest-oddest-and-weirdest-secrets-uncovered-1.3418059#.Ws4gHO2Jmlw.facebook.